1. Register with USA Hockey as a coach. 2. Complete your SafeSport training and save an electronic copy of your completion certificate. You will need to upload this certificate to AAHA's coach registration. SafeSport training is good for two seasons. Training that was completed on or after September 1, 2017 is still good for this season. Any training that was completed prior to September 1, 2017 will need to be repeated. This training is free but it can take anywhere from 1-3 hours to complete. There are three modules that must be completed before your completion certificate can be saved. AHAA cannot retrieve any information regarding your SafeSport certification for you. 3. Complete your background screen application. Background screens are good for two seasons. Please contact Amy at aahaoperations@gmail.com if you are not sure whether or not you require a screen this season. The cost of the background screen has gone up to $20 this season. Reimbursement can be requested. You must pass the background screen prior to participating in any AAHA/Freeze practices. 4. Complete USA Hockey's Age Modules for the level(s) you intend to coach. These must be completed prior to participating in any AAHA/Freeze practices. Once completed, they are good for multiple seasons. 5. Register as a coach with AAHA. This is the last step and the most important...it pulls together all of the work that you've done so far so we can make sure our kids stay safe! CLICK THE BUTTON BELOW TO REGISTER AS A COACH WITH AAHA! Players between the ages of 13 and 17 who are properly registered with USA Hockey can serve as a student coach. Those interested in working as a student coach should contact the head coach of the team they are interested in helping. If the head coach agrees to take on the student coach, the student coach must complete and sign the "AAHA Student Coach Information Form" and turn it into the Operations Director (aahaoperations@gmail.com) and review the USA Hockey Student Coach Powerpoint Presentation (below) prior to participating in any team practices as a student coach. The first sentence in the excerpt below says it all - and it is probably a good statement to remember throughout your coaching career. "You can't know what's in a kid's mind." Below is an excerpt from USA Hockey Magazine's article titled, "I Hope They Didn't Bring Apple Juice." "You can’t know what’s in a kid’s mind. I was coaching a team a few years ago when I got a call from the goaltender’s father. It was the day before the championship game. The father told me his son didn’t want to play anymore. 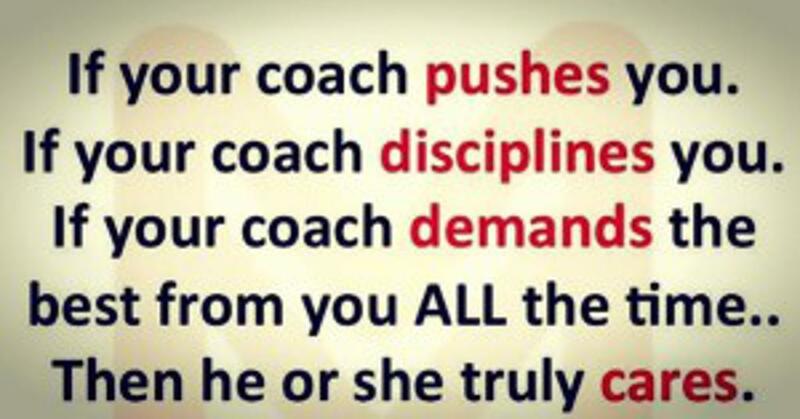 Lost in too many coaches who lose perspective and who think nothing of blaming and yelling and bullying."